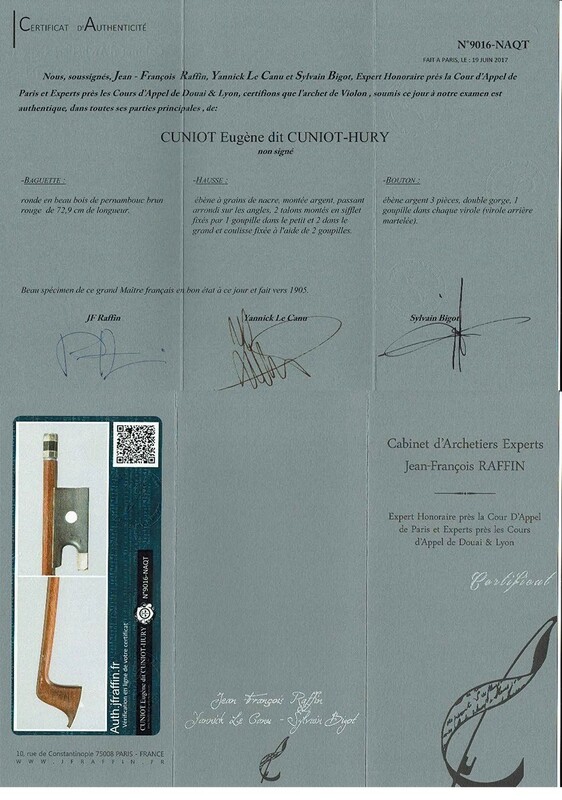 Cuniot Eugène - dit Cuniot Hury, French silver mounted violin bow with Raffin certificate. 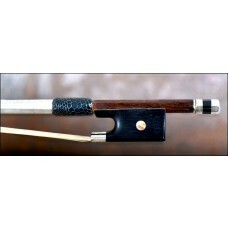 A fine old French silver mounted master violin bow made by Cuniot Eugène . (made around 1905 !). 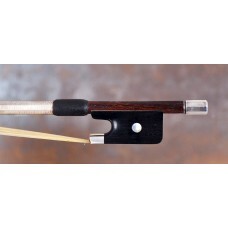 Beautiful round reddish-brown pernambucco stick from a fine quality; with a good curve, and a good balance. 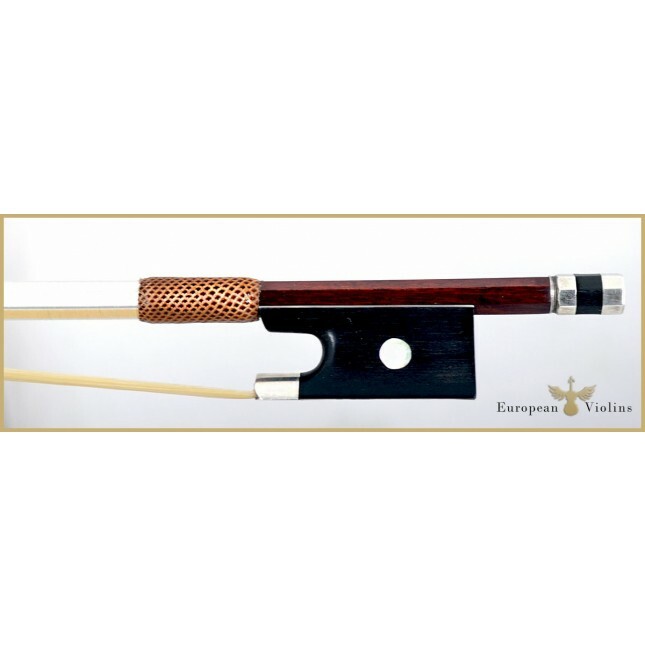 The length of the stick is around 72.5 cm and the weight of the bow is around 59 gr. 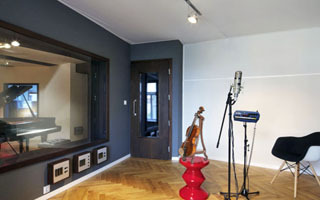 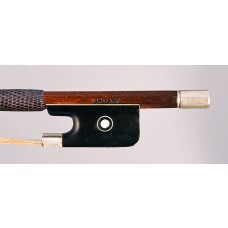 Cuniot Eugène silver mounted violin bow.